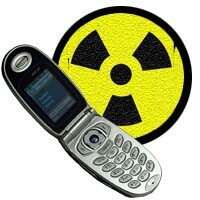 FINALLY the World Health Organization (WHO) has issued a statement linking cell phones and cancer risk! Even India had banned the use of cell phones by kids under 16 while we were selling Disney princess covers. So how can we protect ourselves from the harmful radiation we’re exposing ourselves to on a daily basis? Finally! The Last Link in the Thyroid Puzzle! I just read a report about the use of fluoride to treat hyperthyroidism beginning in the 1930’s in Germany, where patients were intentionally and successfully overexposed to fluoride via bathing in and drinking fluoridated water to reduce thyroid activity. I have been amazed at the number of people I see who have been diagnosed with thyroid issues. Conversely, that means drinking fluoridated water will reduce thyroid function for everyone, which is a factor in hormone health and, critically, in calcium absorption. Since the disastrous earthquakes and tsunami in Japan, like every other health practitioner I have been getting lots of calls about radiation issues and what to have on hand.